We developed this brand to increase awareness of the help available to the elderly, and those caring for the elderly, in the Warrington area. Following on from the success of the breastfeeding awareness campaign earlier in the year, Warrington Primary Care Trust asked us to look at producing a health campaign brand to be used across a range of awareness materials in the upcoming months. 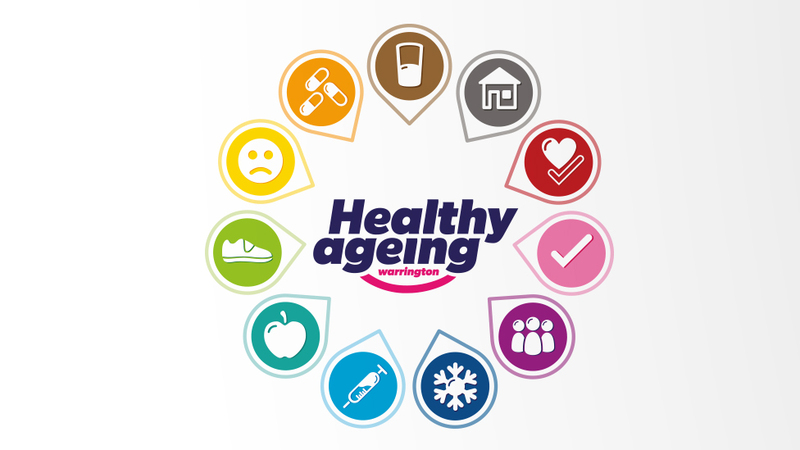 The Trust were keen to create a health campaign brand which was colourful, upbeat, clear and striking. By using a heavy and highly legible font, teamed with the indication of a smiley face, we developed a unique logo mark which had a supportive and reassuring feel to it. In addition to the central logo, the Trust asked us to design a suite of icons which could be used to represent the 11 main areas of concern. Again, upbeat, simple, and clear, the colour palette and style of these icons gives the whole health campaign brand a very positive feel.